More on the Eight Spiritual (Extraordinary) Meridians. I love the spiritual (extraordinary) meridians, and I have been introduced to some great resources. —Article of how the ying qi cycle is used to examine the way in which the paired extraordinary vessels and extraordinary fu may relate to the evolution of consciousness and the art of humanity. 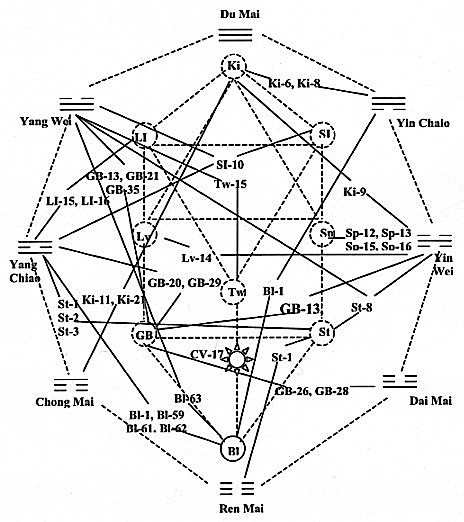 –Very interesting article combining quantum energy, sacred geometry, chakras, and Chinese medicine.